I swept this micro from a Apple tree in an orchard at Wofferwood Common today. I am fairly sure it is a Grapholita sp. and it seems to match with pictures & descriptions of G. lobarzewskii but I would appreciate any other opinions on it. It is 7mm long. Can you mail me the full sized image Aaron? Thanks for the comments. I've sent larger images off to Peter and still have the specimen in case it's needed. 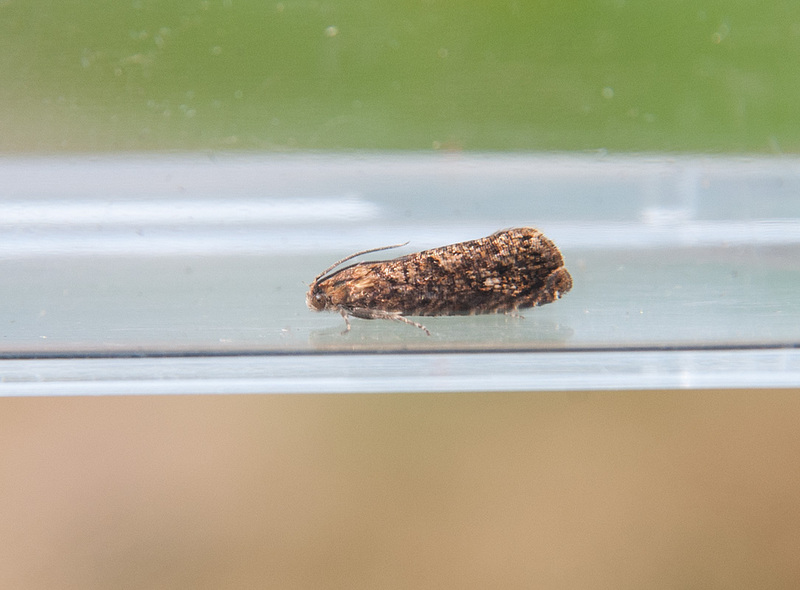 It was really the way that UK Moths stressed it's scarcity that put the most doubts about the ID in my mind.